My Piping accessories. 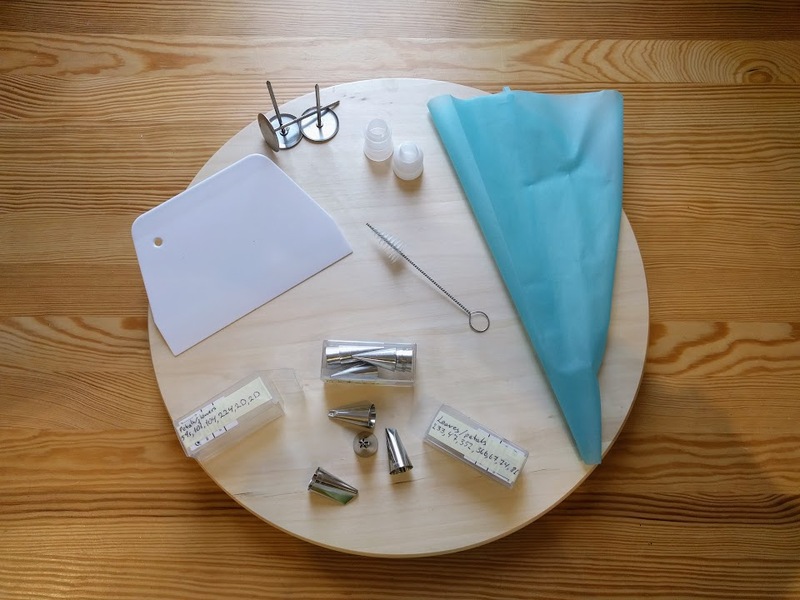 Clockwise from top: couplers, silicone piping bag, piping tips – organised by type, plastic blunt cake scraper, flower nails, piping tip cleaner brush. 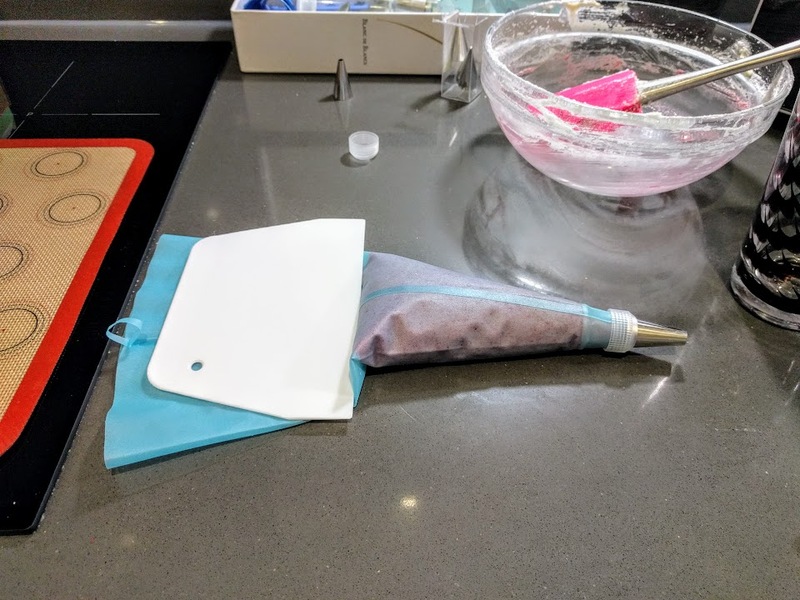 Invest in silicone piping bags (this is an eco friendly option; you do not throw these away as you would with plastic disposable ones). You will also want some good quality stainless steel piping tips, and a few couplers. Couplers make it easy to swap tips when decorating a cake with different elements. Before filling a piping bag, stand it into a mug or glass and fold the edges over; this makes it less messy to fill. 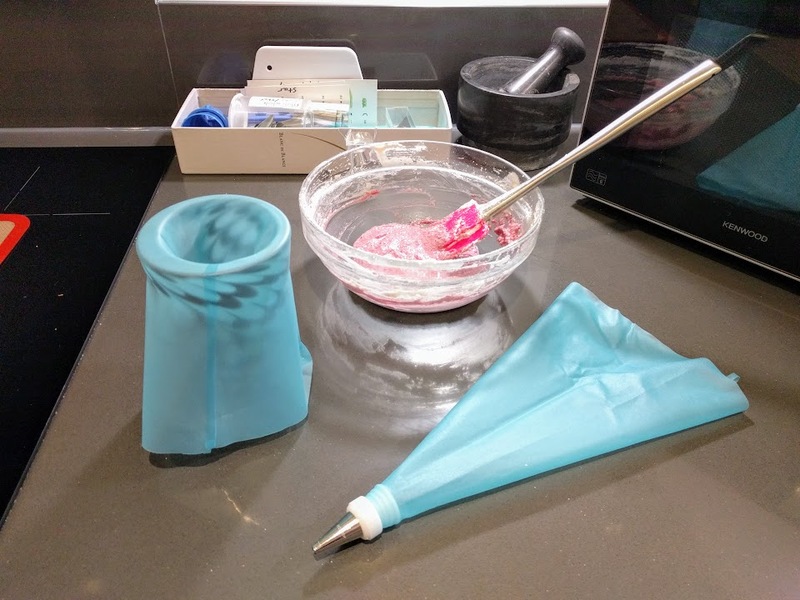 Flatten your piping bag and pat out any large air bubbles using your hand. Squeeze out any remaining air bubbles using a blunt cake scraper. 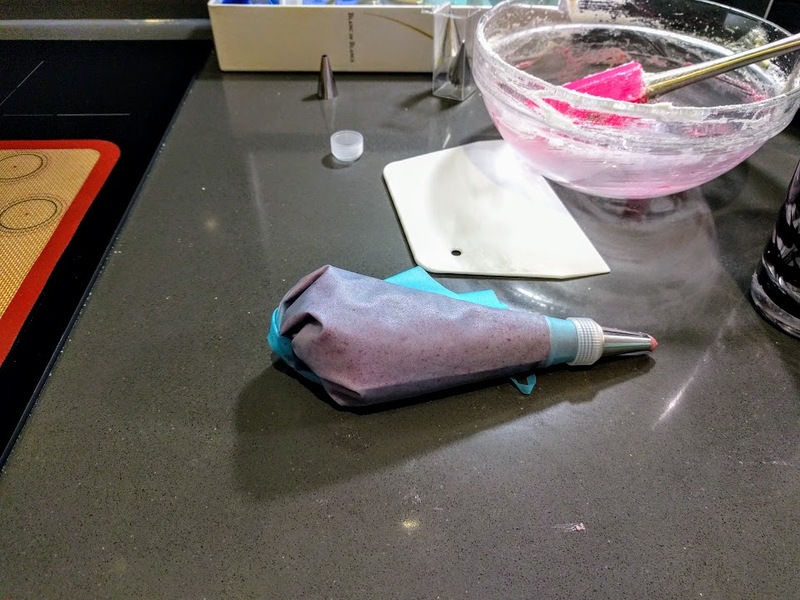 Twist the top of your bag to create pressure on your mixture. When you pipe, use the twist to push out your piping mixture. PHOTO: Tips, numbers, types of patterns.